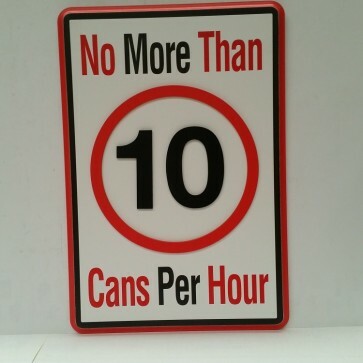 These fun road signs have 3d raised lettering and pictures. A great gift and perfect for the home or shed. 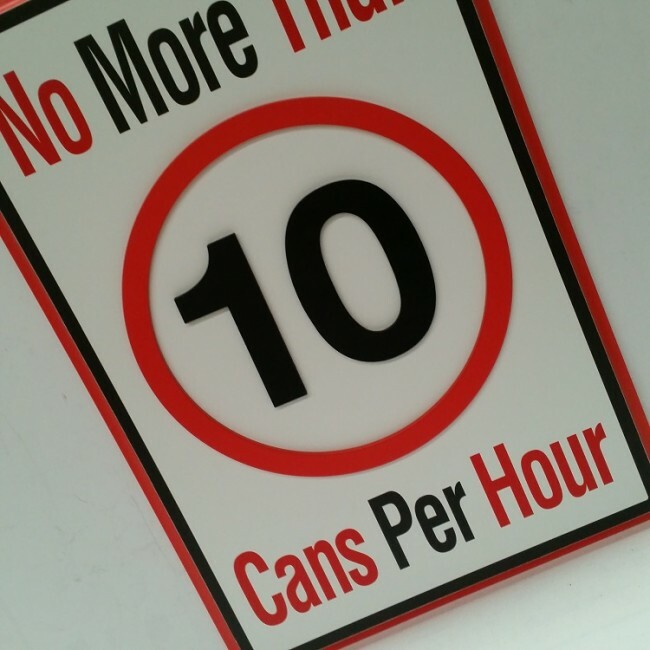 Text on sign: "NO MORE THAN 10 CAN PER HOUR"